Deutschmann Automation has equipped its UNIGATE CL-type Ethernet converters with an SSI interface, thereby improving access for configuration and maintenance. Server Side Includes is a server-side scripting language which enables access to the device via any web browser. The protocol converters provide 8 MByte RAM for the file system. Another new feature, the Raw Ethernet Mode, allows for the use of proprietary Ethernet-based protocols: in Raw Ethernet Mode, no information is filtered out; users can access the complete Ethernet frame including the MAC addresses. Additionally, Deutschmann has implemented a software interface for the AutoSPy diagnosis tool on all UNIGATE CL-type devices. The gateway’s debug interface allows AutoSPy to access the script and record all incoming and outgoing signals, display variables, and analyse them. Long-term logging and integrated search functions enable the identification even of short-term or rare errors. 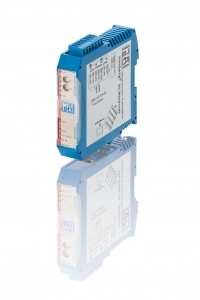 UNIGATE CL-type protocol converters are available for all standard fieldbuses and Industrial Ethernet systems. They use the full transmission rate of the respective bus and support all speeds. Employing these devices, automation manufacturers minimise their development efforts with adapting their systems to the various protocols.